We offer a custom video slideshow for your special events such as birthdays, Bar Mitzvahs, weddings, graduations, anniversaries and memorial tributes. The custom video is made from your photos, electronic images, and video clips, arranged according to your instructions, and then returned to you as both a video DVD and as a finished mp4 movie file. We also offer a Blu-ray Disc option. When the order is completed, you will be able to pick up the finished DVD at your designated library branch location, and we'll deliver the movie file back via a web download link. You will be able to download the file, share it across the web, post it online, or save it long term for future editing. We make the mp4 video files so that they can be played from IOS and Android smartphones and tablets. Always make a backup copy of your files when you download them. 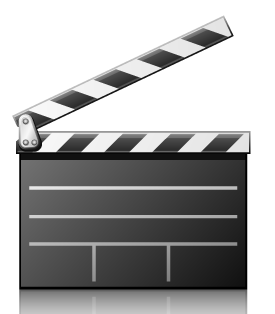 Standard service includes disc label, onscreen title, your specified order sequence of photos or movie clips in the movie timeline, special effects for slide transitions, your choice of background music, and up to 250 photos, for a maximum 30 minutes in length. Average turnaround is 5 business days, or sooner if a RUSH situation. How it works: Submittal of your order to our lab is a 2 step process - completing this order online and then getting the contents to us for making the movie. Place a copy of this completed order in an envelope or box, along with any items needed to make the movie, such as your photos. Also include your instructions about what you want us to do with the contents given to us. If helpful, you are welcome to fill out our sample Edit Decision List and place this in the package, as well. Label the envelope or box with the words "Cintrex AV Lab"
If only electronic images or short videos are being used, please email the images and video links to order-entry@cintrexav.com.. Include in the online order number in the subject title or body of the email. Tell us your instructions. With receipt of your order from the online Cintrex store and receipt of your content, we will begin our editing work. During the process, we will call you as needed; email you web links to rough drafts of our work for your review, and when you approve, we will burn the final DVD and make the finished MP4 movie file that we will email you a link for download and safe keeping. We save all orders for 90 days in our own storage network in case extra copies or corrections are needed. Order turnaround will average 5 days.